Jeff Bradshaw, Past President of CCA and Owner/Executive Director of Camp Wenonah, shares his model for engaging camp alumni. Jeff has close to three hundred alumni actively involved and contributing to the Wenonah camp community. Former staff members enjoy staying connected and camp benefits in many ways. One of the challenges that most camps seem to have is the daunting task of engaging alumni. As a younger camp that just celebrated our 20th anniversary, we had the unique opportunity to carefully plan for an alumni association from scratch. After consulting with many of our colleagues in camps across Canada, Friends of Wenonah (FOW) was born. We discussed the pros and cons of various ways to begin an alumni program and then settled on something that we believed would work for us. And it has worked for us VERY well ever since. We currently number close to 300 on our FOW roster. That’s 300 active alumni who are involved in many aspects of our camp community. It’s important to note that our alumni association is staff specific. With few exceptions, most of our long-time campers graduate into staff roles. We also struggled with the idea of creating an alumni group with all campers that attend camp each and every year, but we just couldn’t get out heads around how to engage thousands of people in a meaningful way. Recent camper alumni do continue to receive our annual newsmagazine (the Wenonah Warbler) each January. Rather than automatically becoming a part of our alumni group after working a year or two at camp, it made sense to us to include only those who have had a strong connection to camp and a desire to stay involved with Wenonah. Our current criteria include three years on staff (full Summer and/or Outdoor Centre seasons) and a minimum age of twenty-one. We did create some further criteria: a significant contribution to/support of camp AND, significantly and importantly, a demonstrated interest or intent to remain involved with Wenonah in the future. A FOW invitation is not a foregone conclusion. We do our best to keep groups (staff years, leadership groups etc…) together− at times deferring invitations until a whole group can be FOW members together. An official invitation is sent to each year’s class of FOW inductees and then a follow-up email is sent to the full FOW membership introducing the new group with pictures and biographical information. There’s no membership fee or related costs to be a FOW member. We host a FOW Weekend each year at camp on the Victoria Day holiday weekend – a great opportunity to enjoy camp with camp friends for three days. As well, there are numerous gatherings of FOW members on a regular basis throughout the year and in all sorts of places literally now around the world. Many FOW members get involved in short term projects with camp including: facilitating leadership canoe trips for one week in the summer; working with introductory periods at camp as the Director or a staff member; counselling at our youngest program (WEEnonah, a three day session for five to seven year olds): new staff interviews; Women’s Weekend leadership; work with specialty groups (we host a national bereavement camp program) assisting with opening and closing weekends; marketing and promotional assistance throughout the year (Camp Fairs and home visits); work on Committees and Task Forces; New Camper Open House weekends and much more! We typically send fifteen to twenty mass emails annually to update everyone on what’s happening with camp and in everyone’s lives. Most significantly, with FOW members living in seventeen countries on five continents, there is a real connectedness that occurs through this group. There have been FOW folks at camp with us stretching back (in many cases) now for decades. What many people have realized is that when they leave camp, they can still have a very real attachment to it through FOW. There are so many positives. Our alumni are not only aware of the evolution of our camp’s experience but often are directly involved in the visioning and facilitation of these changes. FOW members are the best Ambassadors possible and, many find themselves now parents of “next generation” campers. Finally, there is a tremendous sense of community and connectedness that extends far beyond everyone’s years of active involvement with camp. In this sense, camp truly lasts a lifetime. Julia Wagg at Ten Oaks. 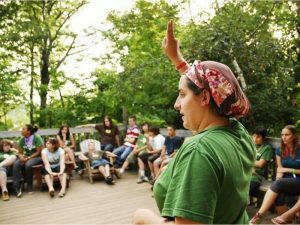 Camp Ten Oaks is a celebrated overnight camp for children and youth ages 8-17 from LGBTQ+ (lesbian, gay, bisexual, trans, two-spirit, queer) identities, families and communities. 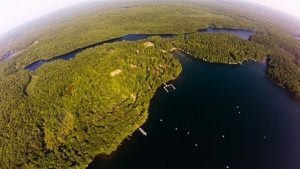 Based on Eagle Lake in eastern Ontario, Ten Oaks is the first camp of its kind in Canada. Julia Wagg was a co-founder of Ten Oaks. The camp community is in mourning after Julia passed away after a 15-month battle with leukemia. Read about Julia’s remarkable legacy in the Ottawa Citizen. 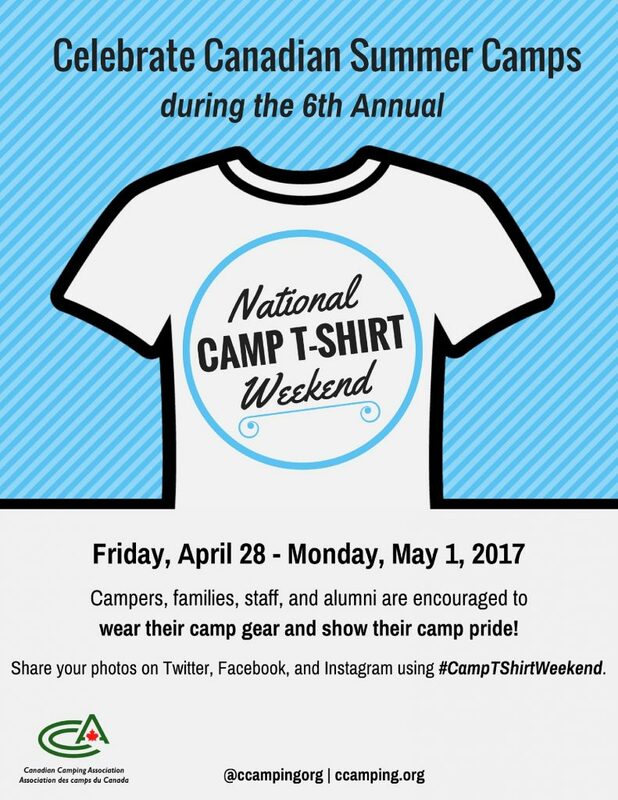 The CCA is proud to launch a fabulous new national marketing campaign: “Thanks To Camp”. Learn more about how your camp can participate! 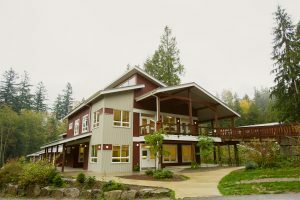 The ICDC is hosted at YMCA Camp Elphinstone from November 22 – 26, 2017. Register now online for the 2017 International Camp Directors Course to be held on November 22 to November 26, 2017 at YMCA Camp Elphinstone, Gibsons, on the beautiful Sunshine Coast just north of Vancouver, British Columbia. This professional development course is equally valuable for novice and experienced camp directors, managers and operators. Learn more about the International Camp Directors Course.